Do those you come into contact with affect your spending habits? Learn why we should be content and not let the Jones’ make us poor. In this installment, I review material I covered previously in installment number 12. Learning to overcome the desire to compete with our neighbors, coworkers, or social media contacts will help us live a disciplined financial life that lead to us accomplishing our goals. 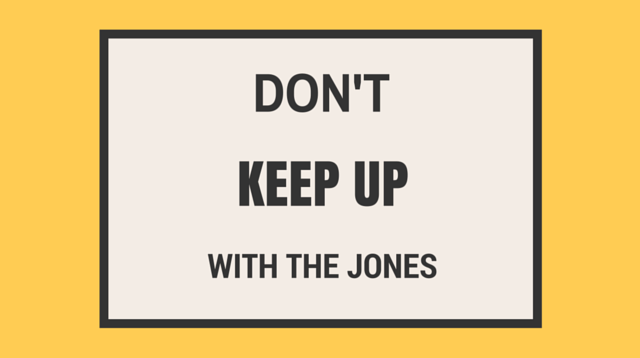 This week I review with you who the Joneses are, how they’ve changed over the years and why you shouldn’t worry about keeping up with them.